Ready for media to be more democratically accountable? 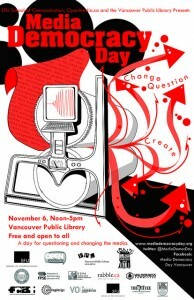 Come support media democracy by attending Media Democracy Day 2010 on November 6 at the Vancouver Public Library beginning at noon. Listen to panel discussions, engage in dialogue with media activists and independent media organizations, get involved in democratizing our media landscape. 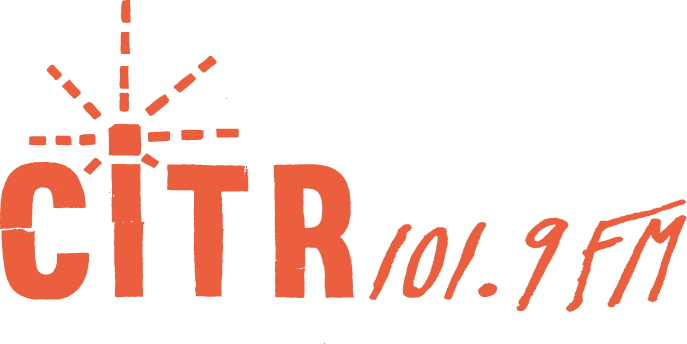 CiTR will be broadcasting live from 12-5pm. We will be bringing you all the panel discussions from the Alice McKay Room. As of 1:30pm today, our live web stream is down, so please tune in on your good ‘ole radio. We’re sorry for the inconvenience. Also, if you are out of the reception area, the whole afternoon of panel discussion will be made available as a podcast. Here is the schedule for the afternoon.